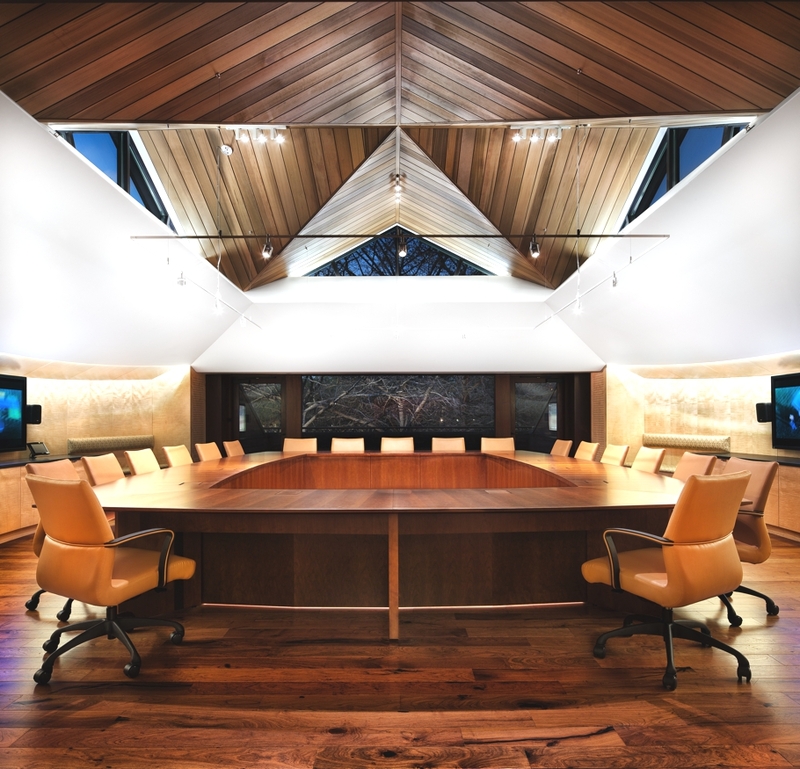 Award-winning Austin-based architectural practice, Miró Rivera Architects, have redesigned the Texas Exes Alumni Center project. 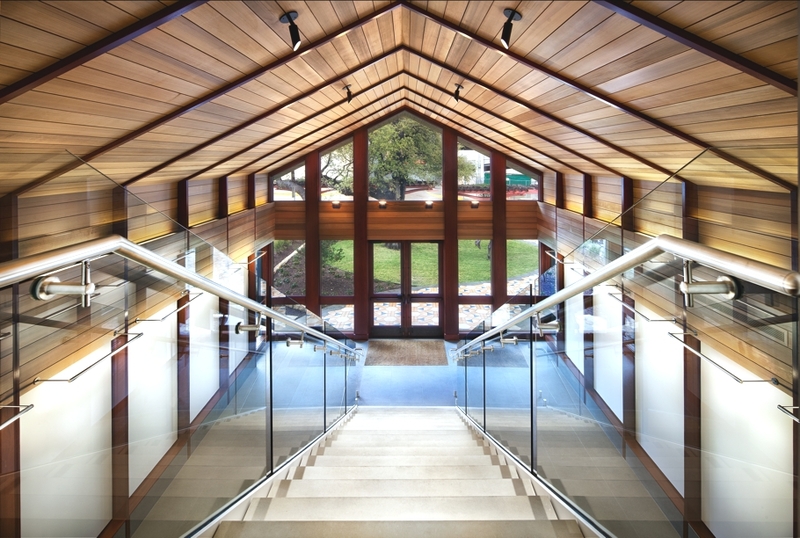 Completed in 2013, the the new building can be found at the University of Texas, US. 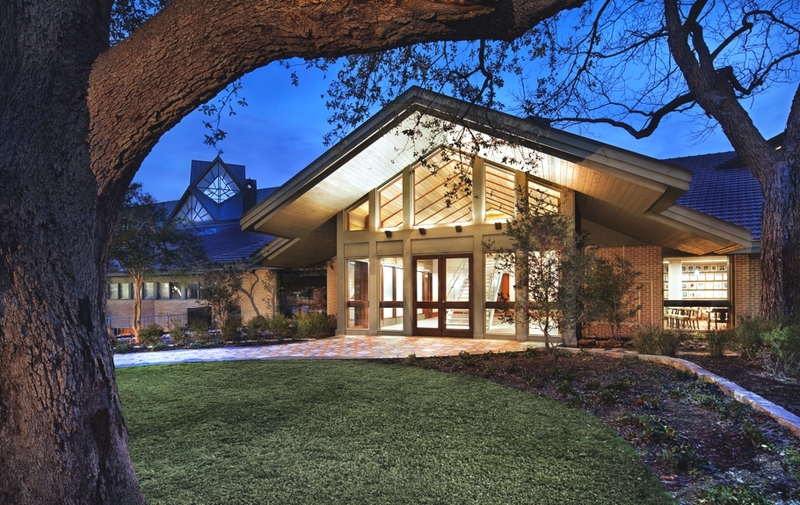 Originally designed by Charles Moore in 1965 and renovated by Richard Dodge in the 1980s, the Texas Exes addition and renovation expands the alumni center with roughly 3,000 square feet of new construction and 12,000 square feet of re-designed interior space. 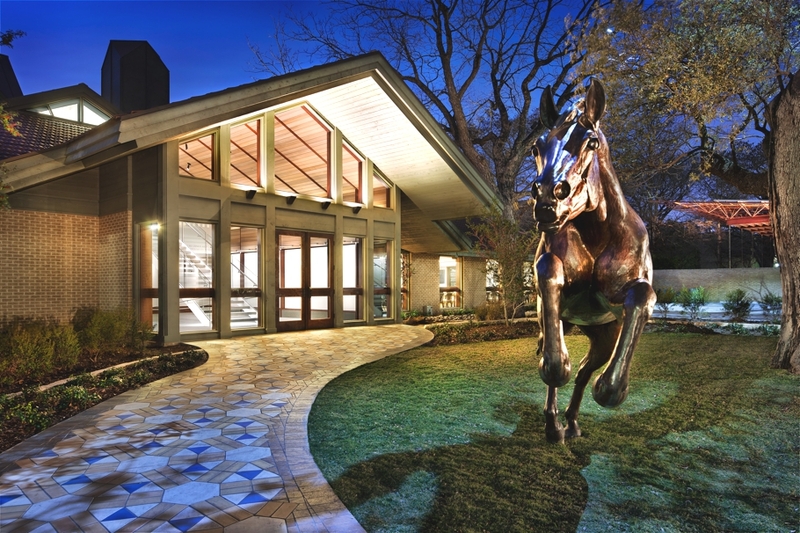 Miró Rivera Architects expanded the roofline of the existing alumni center, replacing the former loading dock and large catering kitchen with a new home for alumni functions and a dedicated entryway and lobby at the north end of the building, adjacent to Miró Rivera’s Texas Cowboys Pavilion. 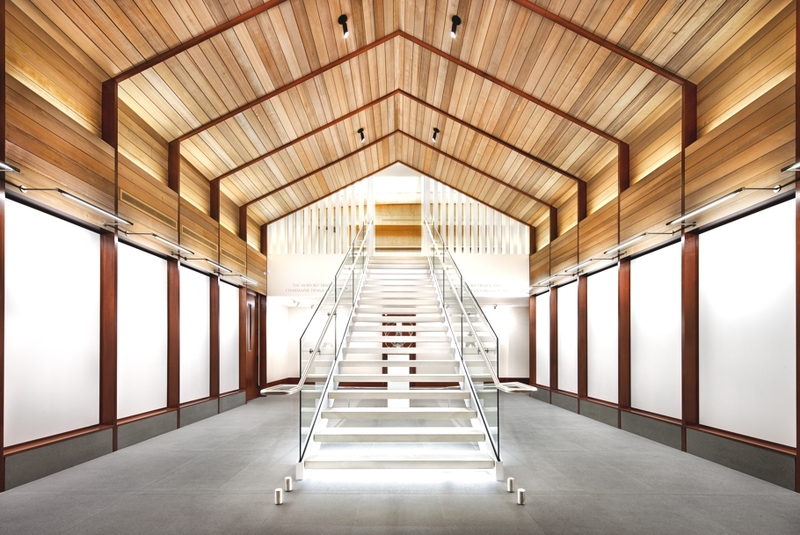 The new light-filled, double-height entrance is adorned with cedar and mahogany siding that leads to an open stairway with limestone treads that are native to Texas. 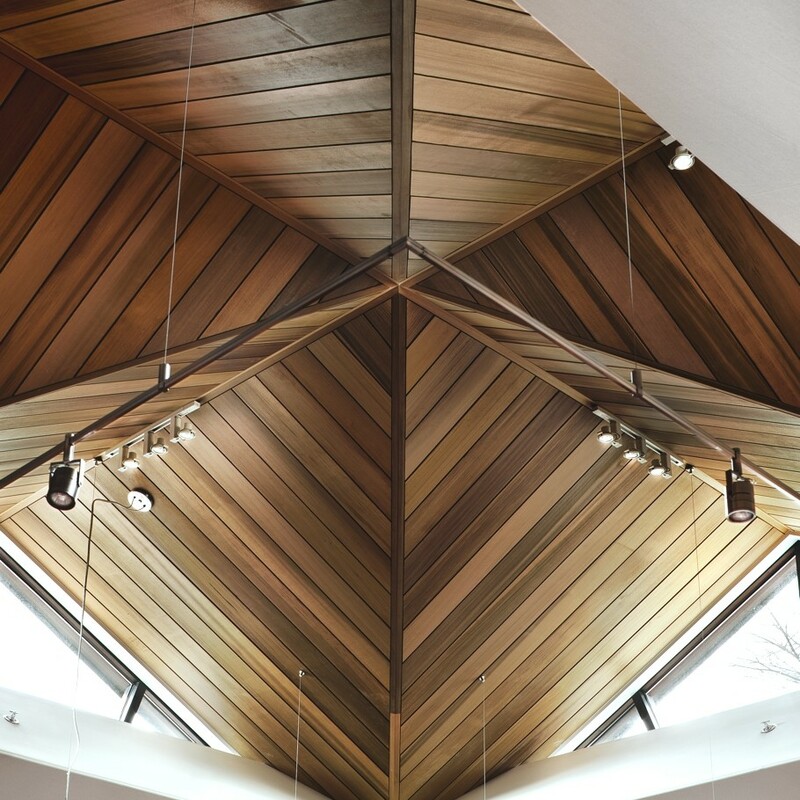 The ceiling respects the geometrical design of the original building, but the cedar wood is smooth, giving the overall addition a more refined and modern look. 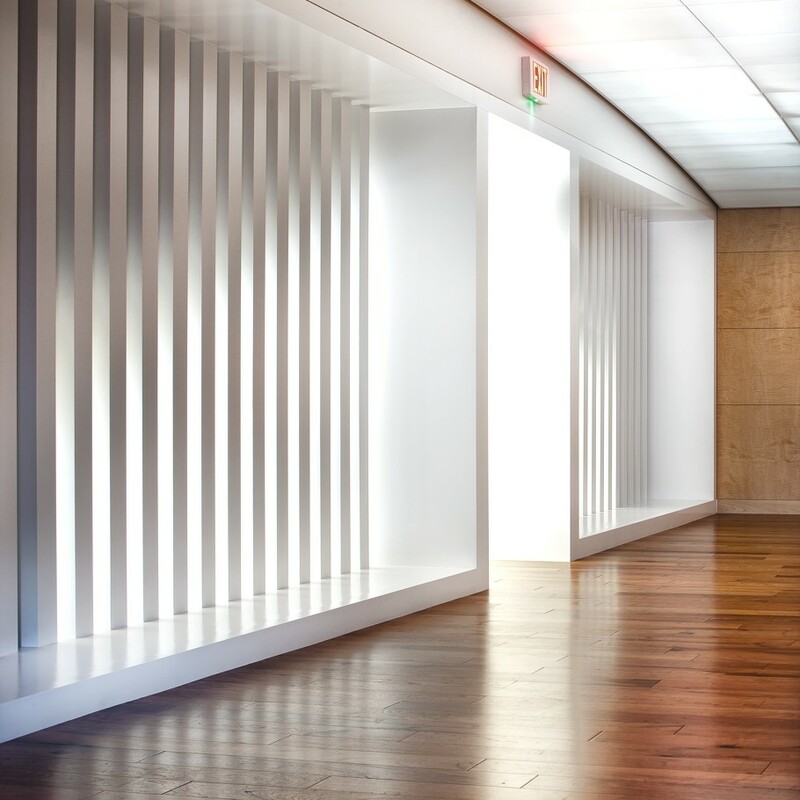 From the entryway, the interior design unfolds to reveal the new Legends Room, which functions as a multi-purpose space that supports various academic and alumni functions, a conference room, restrooms and loading dock. 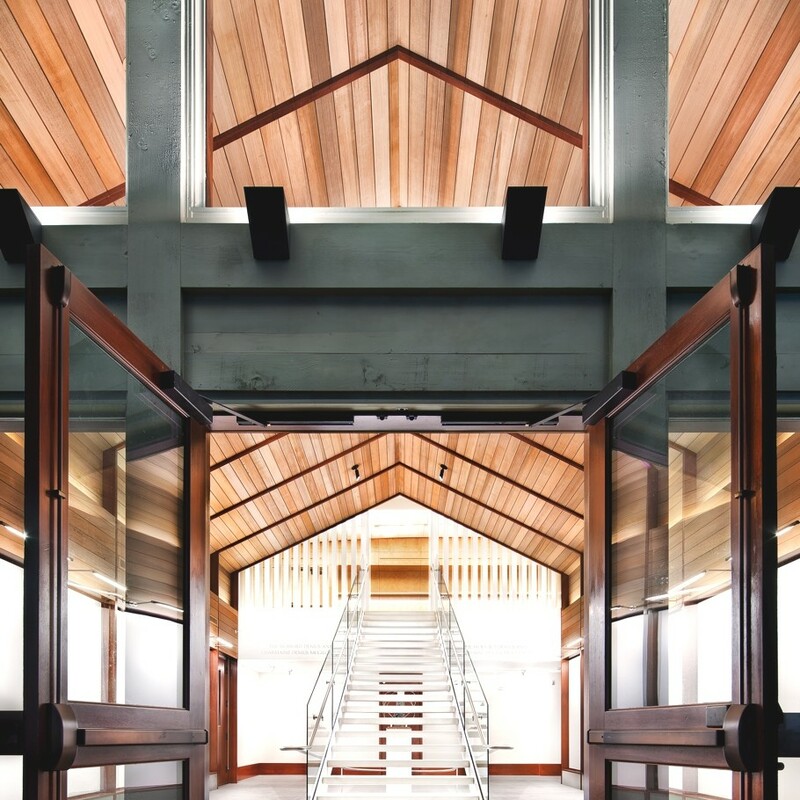 The kitchen, also on the first floor, previously served the entire campus, but was downsized to now only support Alumni events and the existing Ballroom. 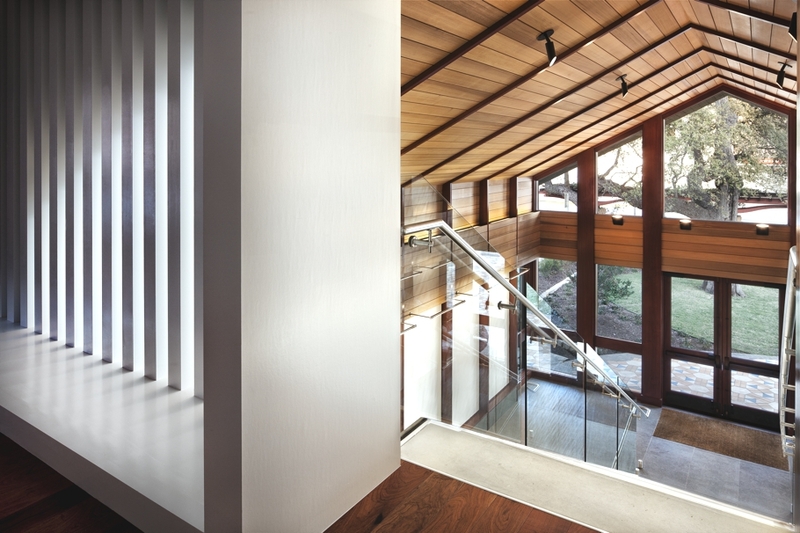 The open stairwell leads you to the second level which houses a maple-paneled foyer,additional bathrooms and boardroom which features a large skylight that opens up the space, providing a generous amount of sunlight. 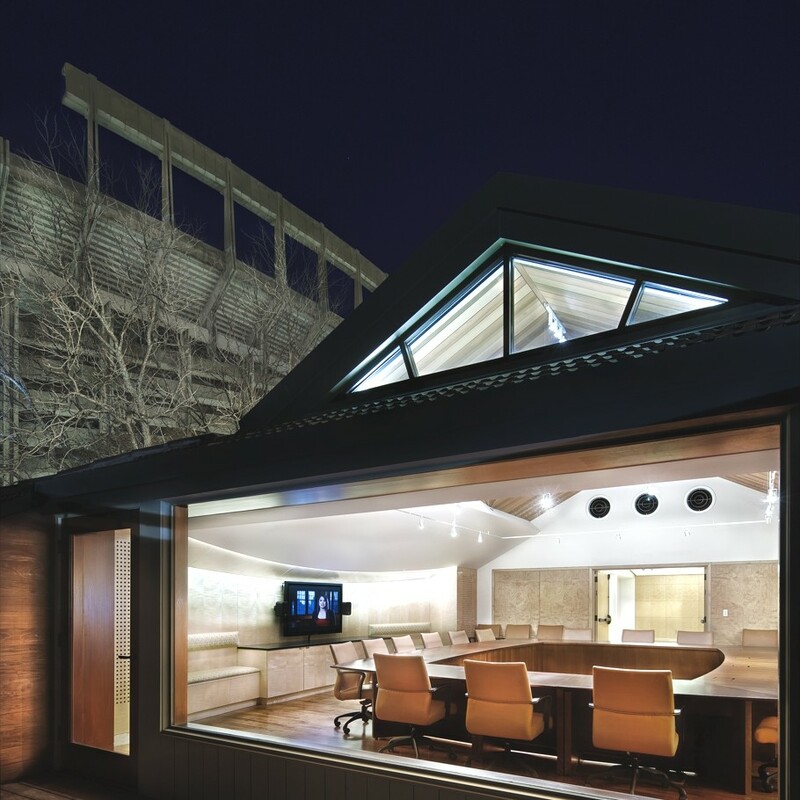 The renovation continues with an outdoor deck nestled within the roof, giving alumni a bird’s eye view of Waller Creek, MRA’s Texas Cowboys Pavilion and the Darrell K. Royal-Texas Memorial Stadium. 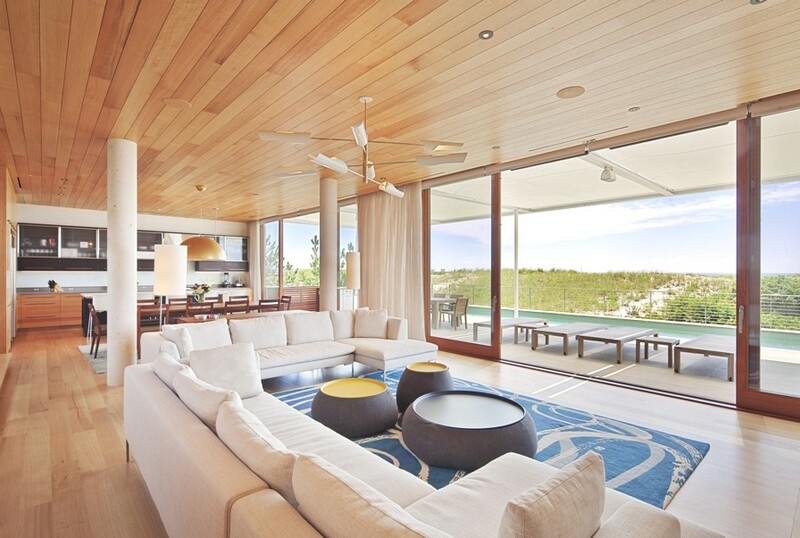 Cambridge-based architectural practice, Aamodt Plumb Architects, have designed the Hamptons Beach House project. 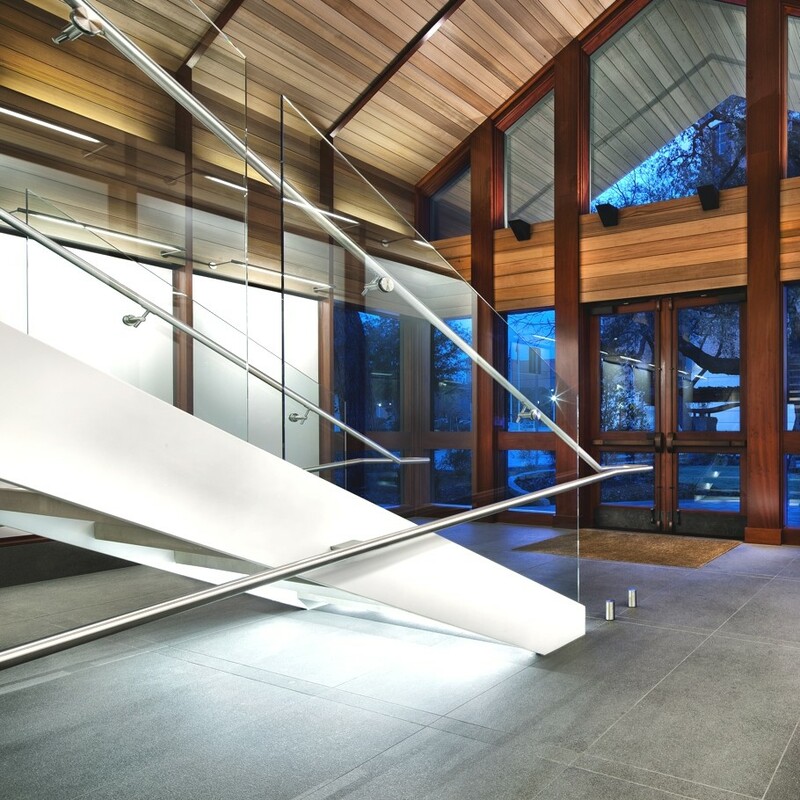 The luxury home features ornamental screenz and is located in East Quogue, New York, US. 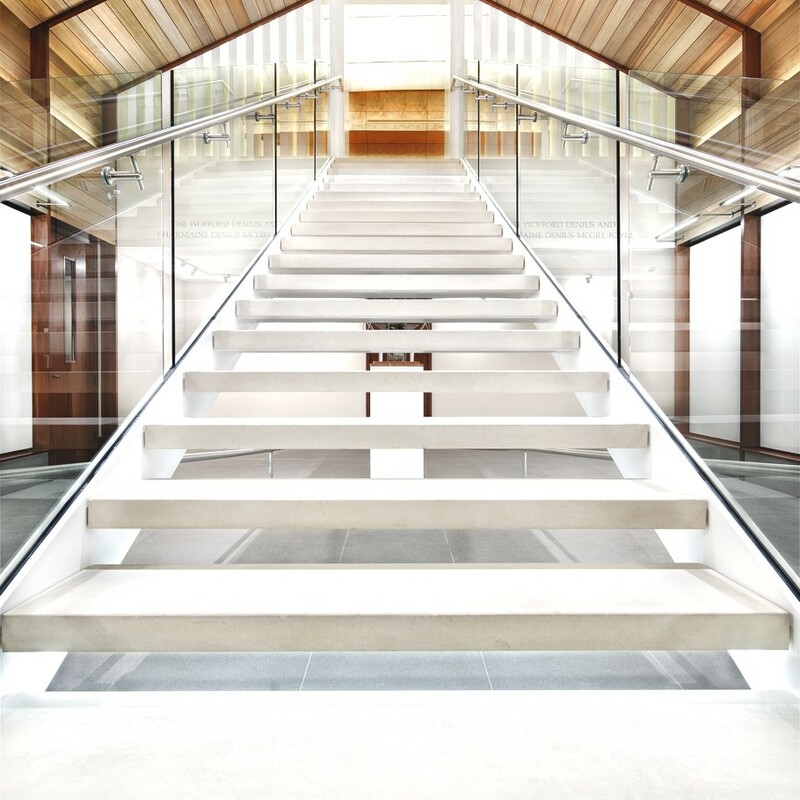 London-based multi-disciplinary practice, Daniel Hopwood, have designed the Brook House project. 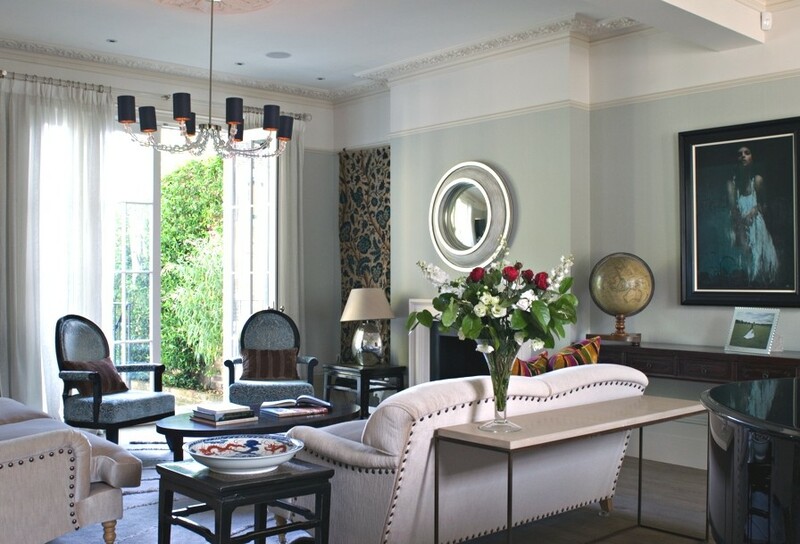 Completed in 2013, the regency property can be found in the affluent Royal Borough of Kensington and Chelsea in London.